Since he was just a toddler, Addison Ochs seems to have had his life’s destiny laid out for him with the destination clearly being around water. He found the right start to be in South Arkansas. Ochs inherited a love of scuba diving and practically grew up on the campus of Southern Arkansas University. Add a love of science into the equation, and it is no surprise that he was one of the first to enroll in SAU’s Marine Biology program in 2014. He said that since the second grade he has been scuba diving with his father, Steven Ochs, who is a Dive Master and chair of the Department of Art and Design at SAU. 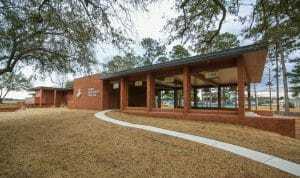 From his father’s office and studios in the Brinson Art Building, Ochs witnessed SAU grow and saw the Science Center and Natural Resource Research Center (NRRC) constructed right across the street. 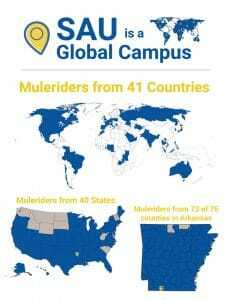 Talk of a new Marine Biology program for SAU started when Ochs was in high school, so he took a gamble and enrolled as a Mulerider. His gamble paid off. “I came to SAU two years before the program got approved hoping they would get it while I was here. Not only was SAU affordable for me, but its small class sizes allowed for direct interaction with professors which ultimately opened the doors to research opportunities,” Ochs said. 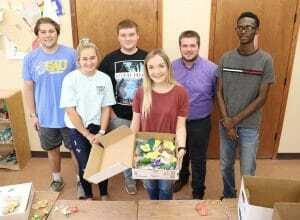 SAU offers the only Marine Biology program in Arkansas, and Ochs said the program is gaining momentum with many new students starting this past fall. Low cost to students is not the only draw SAU’s program offers. Ochs has experienced many educational and career accelerating opportunities thanks to SAU’s connections with the University of Southern Mississippi’s Gulf Coast Research Laboratory (GCRL). Ochs said his first summer experience at the GCRL was the summer of 2014, before SAU’s Marine Biology classes started. He credits SAU Biology professor Pablo Bacon with getting him in the door at the GCRL and the SAU Foundation and Honors College for helping fund the venture. His description of the intensive study and research at the GCRL, with 10-hour days the norm and 17-18 hours of work not unheard of, may sound grueling. For Ochs, it only fueled his passion for research. Of course he returned to the GCRL in the summer of 2015, again with financial assistance from SAU. According to Ochs, all courses at the GCRL are extremely field concentrated and the professors are research-based. In Herpetology, the professor flies in from Maine every summer and the students are in the field trapping the first class meeting. He said it’s a win-win, because students help the professor’s field work while gaining knowledge and skills. He said the student body is extremely diverse. In the “herp” class alone, students represented around 10 different states and there were only 14 total students in the class. “I have made contacts from all across the country, and now have a spider web of contacts. With professors and colleagues, you cover the whole country in your field. That’s why I went back the second summer and why I enjoyed it so much,” he said. 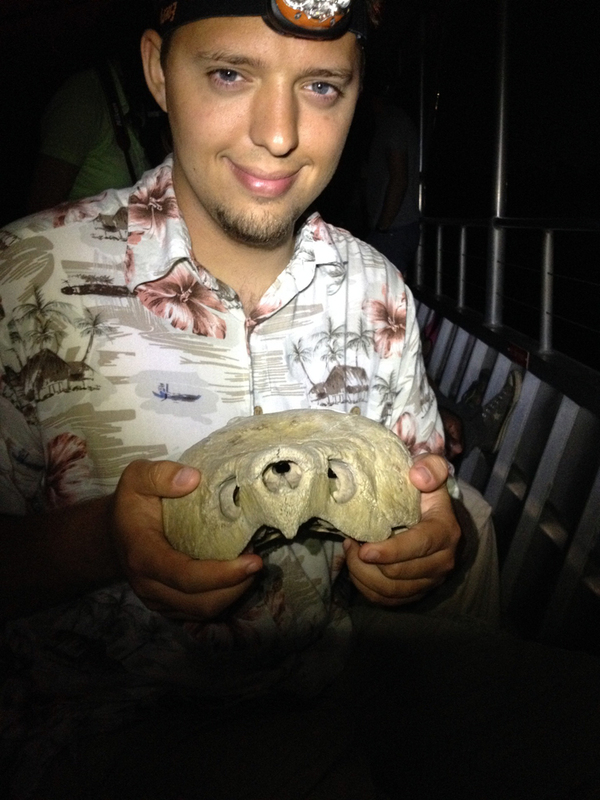 In all, Ochs has earned 23 credit hours at the GCRL towards his degree in classes such as Coastal Herpetology, Marine Embryology, Invertebrate Zoology, Marine Ichthyology, and independent research. He said that the classes are short and intensive, so professors get to see what students can achieve under pressure in labs and in presentations. With this insight, professors are able to write compelling recommendation letters for students. The education, experience, and contacts he attained from SAU and the GCRL have made Ochs feel extremely confident in pursuing graduate school for a master’s and a Ph.D. in Marine Invertebrate Zoology. He is currently looking into grad schools on the East Coast. He knows he wants to keep doing research. He feels equally confident about the road ahead for SAU’s Department of Biology and the Marine Biology program. Interim chair of Biology Dr. Jesse Filbrun came to SAU from the GCRL, and still maintains contacts there.